The Los Angeles Police Department has enacted new shooting policies that call on officers to avoid resorting to deadly force by de-escalating situations with the public. 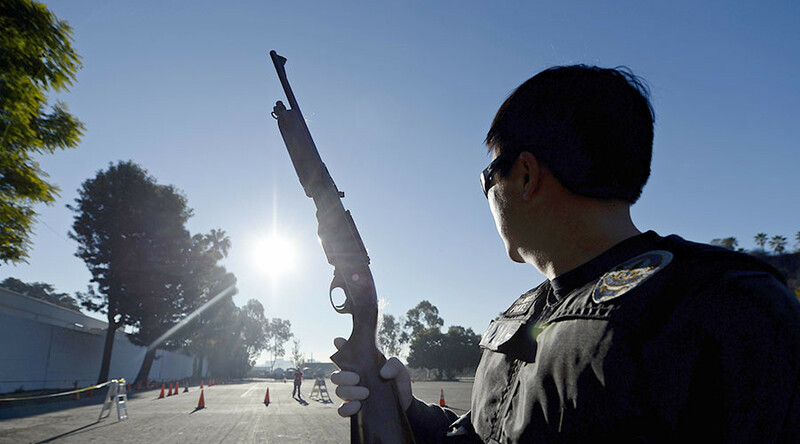 Under the policies, officers could face more scrutiny over shootings. On Tuesday, the Los Angeles Board of Police Commissioners voted to approve policies that would amend the LAPD manual of policies and procedures by adding two sentences to the use-of-force policies. The first change amends the preamble, adding a sentence that requires officers to “control an incident by using time, distance, communications and available resources in an effort to de-escalate the situation, whenever it is safe and reasonable to do so." The policies stem from a report released in March 2016, which listed 12 recommendations from Commission President Matthew Johnson and then-Commissioner Robert Saltzman. The new policy addresses the first two recommendations from that report. Rather than focus the blame on the effectiveness of de-escalation training, the recommendations would allow the commission to assess whether officers attempted other means to defuse the situation. “One of the things we will look at when we judge these shootings, is did they use the opportunities to de-escalate if that was possible,” Beck said. Beck also announced the release of a 400-page report detailing year-end statistics on police shootings and other types of force for 2016. The report shows officer involved shootings were down 17 percent from 48 in 2015, to 40 in 2016. However, the report also shows the LAPD reported 19 deaths from officers in the last year, a decrease from 21 killed in 2015. The Police Commission ruled eight police shootings in the last years were “unjustified,” which marks the highest number in the last 10 years. In recent years, the LAPD has made an effort to reduce the number of shootings by officers by implementing de-escalation training, assigning more officers to mental health units and providing officers with more Tasers and other less-serious forms of force.